I recently posted pictures from a cycling trip I took to Akizuki. By the way, I hadn’t realized it before posting on my blog, but Akizuki is approximately the same distance from my apartment as Hakata station is. lol I never would have even considered riding my bike there until now, but it might not be such a bad idea some time in the future. Anyway, back to the pictures. In one of the pictures, you can see an old lady. 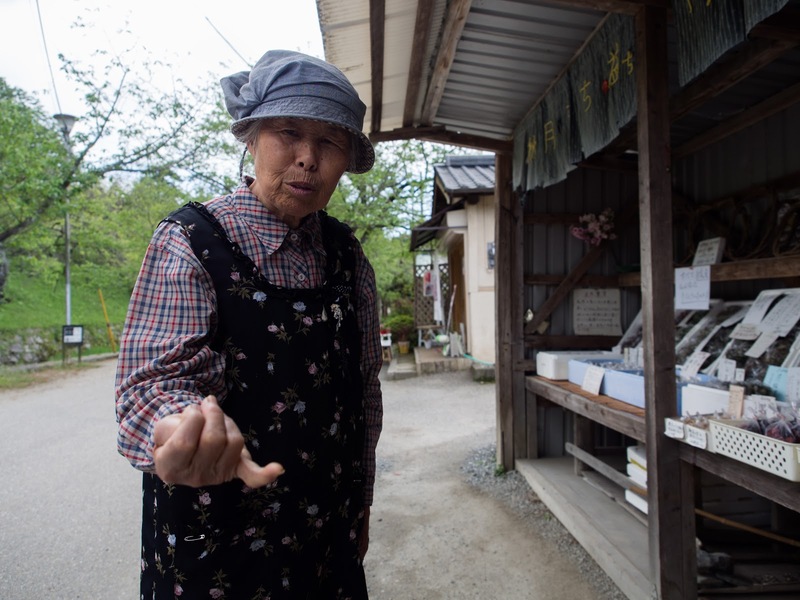 I approached her small vegetable booth while taking pictures in a tourist area of Akizuki. I wanted to take her picture while she was chopping some vegetables, but after I asked her what vegetable she was chopping, she decided to answer my question, and then tell me about seasonal vegetables in Japan. I forgot completely what vegetables she told me about, but I do remember one word, nanakusa, which literally means "seven grasses/weeds". She told me of nanakusa for spring, fall, and winter, but I have only found information on the nanakusa for spring and fall. For the people that are wondering what those plants are, here is a list I've compiled, although I don't know why. 芹（セリ）　Water dropwort (I'm not making this up). 御形（ごぎょう、ハハコグサ）　Gnaphalium affine (there is no common English name, but it may be some kind of cudweed). One of the ways to call this plant in Japanese means "mother-child weed". 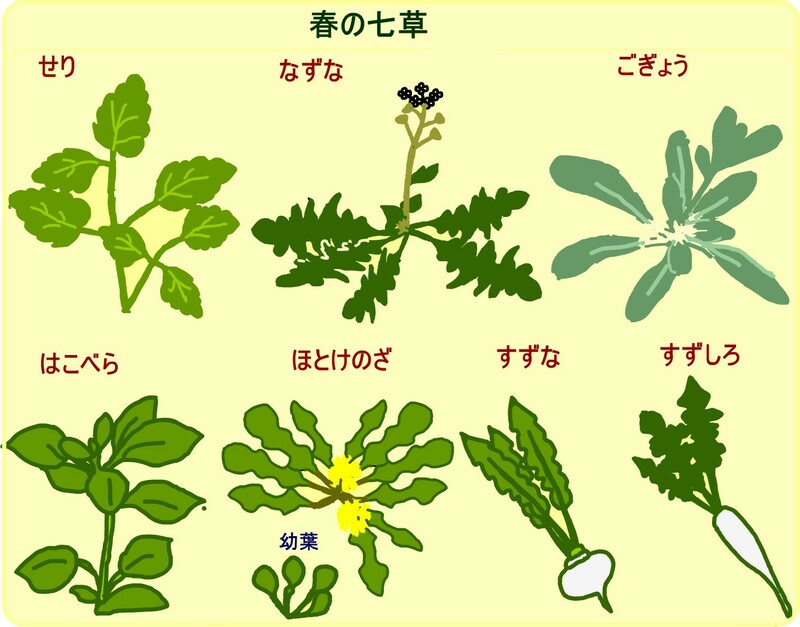 仏座（ほとけのざ）　Henbit deadnettle (this is real). Strangely, there are only 5 spring nanakusa. I have spent far too much time finding those plants' names, so I leave it to the reader to find out the nanakusa for fall. Let me know which of them looks like they would taste the best with caeser salad dressing. At one point, the old lady walked over to a nearby tree, bent down, and picked some small weed out of the ground and told me it was one of the seven spring herbs. I asked her, just to be sure, if the plant she was holding was edible, and she said yes. It’s funny to think that there are still people that eat what most people consider “poor people food” when they probably don’t even need to. Lettuce and cabbage aren’t so expensive that you have to pick weeds out from underneath trees, lady. lol However, she said she is 87 years old. What else would I expect from an old mountain lady? Ah yes, the mountain. She mentioned that Toyotomi Hideyoshi, one of the well-known predecessors to Tokugawa Ieyasu (the first Shogun that closed Japan and ushered in the Edo period) was killed on the mountain neighboring Akizuki. However, upon further research, history records him as dying far away near Osaka. Either the old lady was a big fat liar or I didn't understand what she said.